Long time, no blog, eh? I suppose I’ve got some catching up to do. However, that can take a backseat to this awesome piece of news I have. 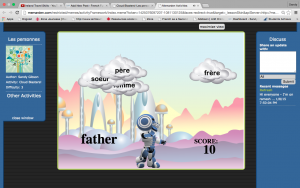 For the past year, I’ve been pioneering the use of Memarden, a customizable, game-based lesson creation website, in my French class. I was actually first introduced to it through Cohort 21 at our F2F session at MaRS in 2014, and have been working with its founder Ramesh ever since. Over the course of the year, I saw Memarden go through many changes. 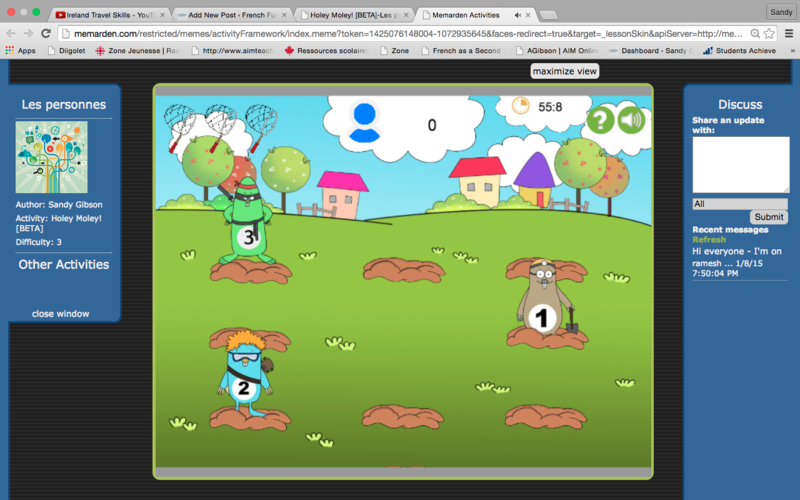 Students can now create lessons which can be made available to the class, pending teacher approval, and Ramesh is constantly developing new games and features. Memarden has been tweaked and refined to the point where Ramesh has started offering licenses to schools. These licenses usually go for $40/year for every 40 students, but Ramesh is offering it to Cohort 21 members for only $20/year for 40 students. I realize that sounds like something out of an infomercial but when you consider all that you get – customizable lessons with text, images, sounds and videos with the ability to see your students’ progress – it’s a pretty sweet deal. Also, I receive absolutely no commission aside from the satisfaction that one more educator is teaching and assessing their students in an engaging and creative manner.